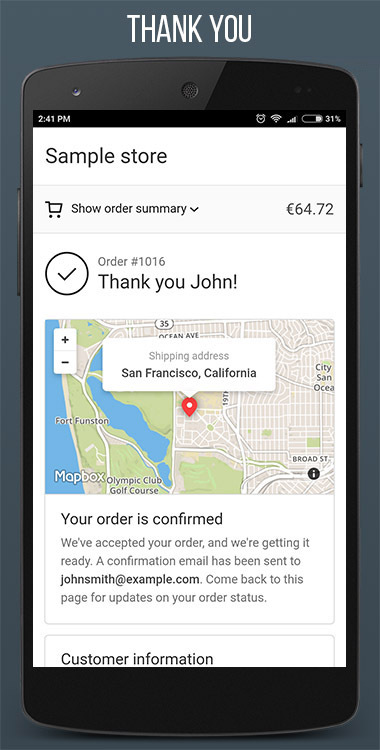 MobileFront Shopify Mobile App is professionally made cross-platform Ionic template that integrates with the Shopify eCommerce platform. 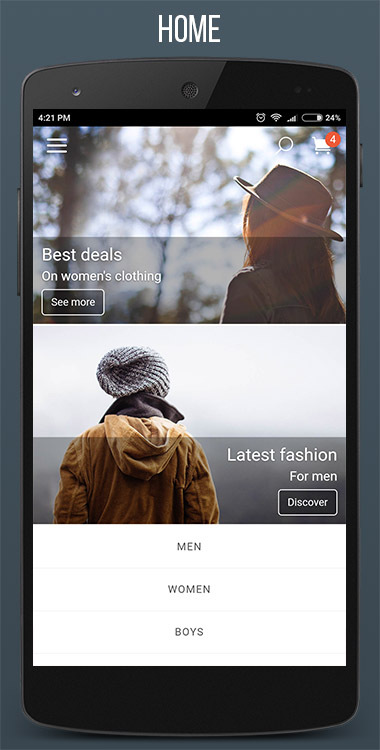 MobileFront is built with battle-tested frameworks and tools such as AngularJS, Cordova, Gulp and Sass. 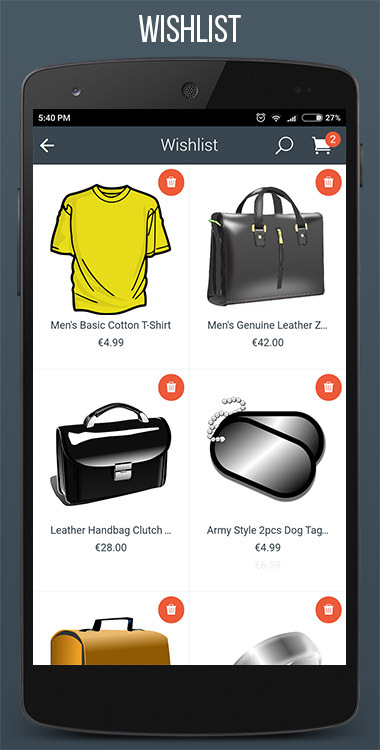 Side menu – quick access to main app pages, configurable logo, cart item badge. 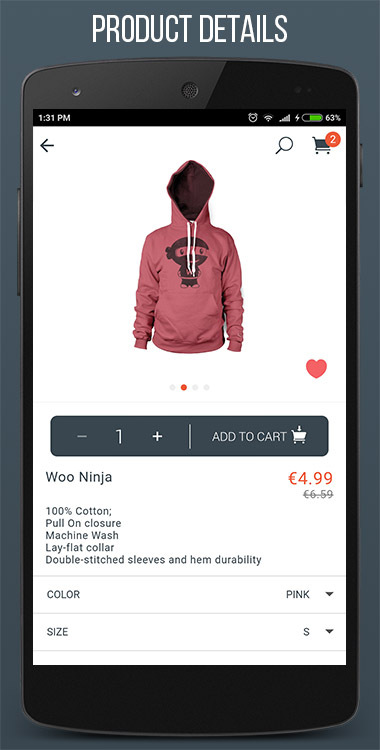 Product details – product image slider, product title price and expandable description, product variant selectors, add products to the shopping cart or to the wishlist. 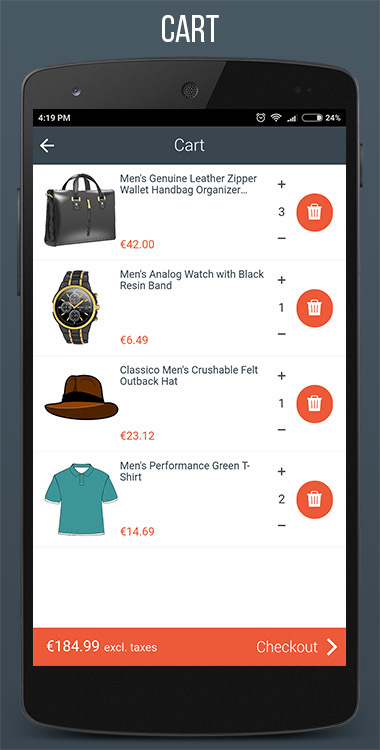 Search – convenient product search available on most of the pages. Color themes – choose one of the built-in themes or easily create your own to stand out from the others. 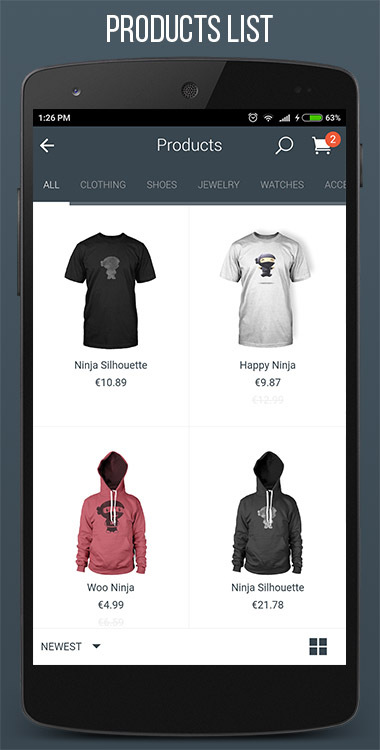 Customizable homepage – control the look of your store’s home page with highly configurable promotional sections. i18n – control all labels and messages in the app without digging into code. All language resources are stored in separate files. This let’s you easily change the default wording of the app or translate it into other languages. Guided setup – installation scripts included in the bundle will guide you through the setup process, download all the necessary pieces of software and will prepare the development environment in minutes. 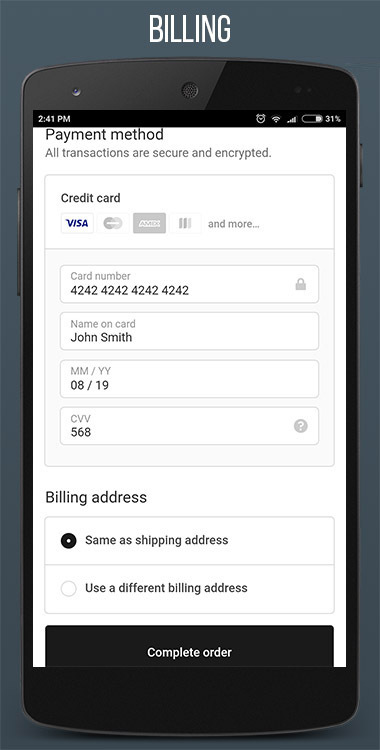 Ionic – MobileFront template was coded with Ionic framework which offers excellent cross-platform mobile experience, has large community of developers and great documentation. 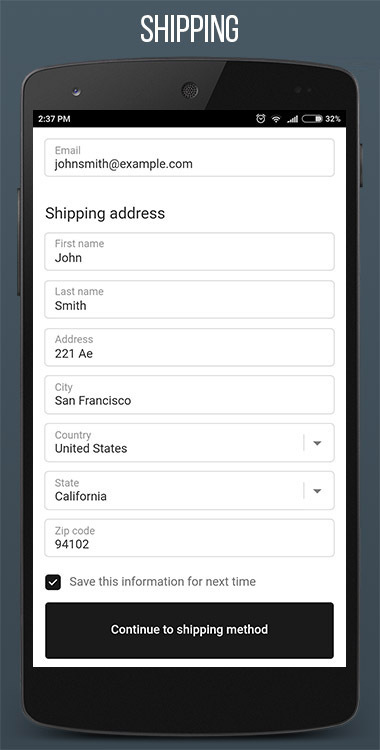 Cordova – Cordova framework allows the app to be packaged for both iOS and Android with a single codebase. It supports various native device features and can be extended by means of open source plugins. 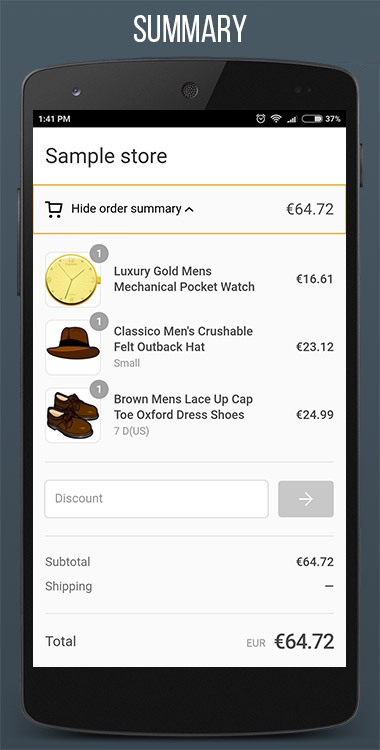 Gulp – MobileFront uses Gulp as a task manager. The bundle includes many Gulp tasks that take the pain out of mundane tasks such as code minification, Sass compilation, code quality checks, livereload and much more. 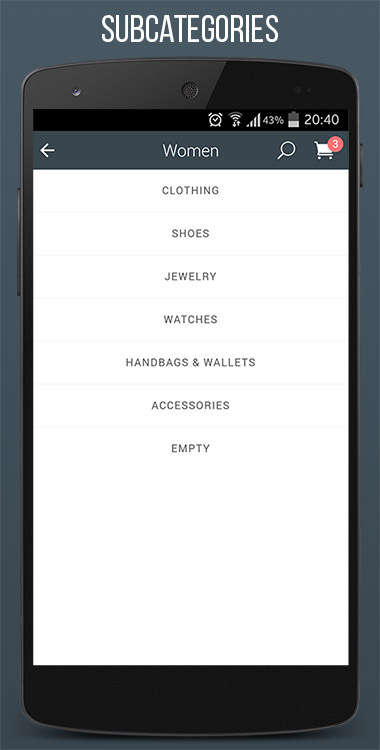 Sass – use the power of Sass to customize the look and feel your mobile store MobileFront adheres to the best coding practices, making the app code maintainable and easy to read and understand. 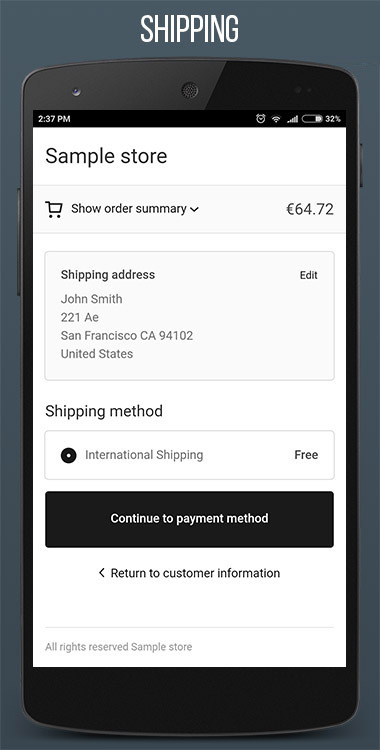 Feel the MobileFront Shopify Mobile App on a real device by installing the demo app from Google Play. 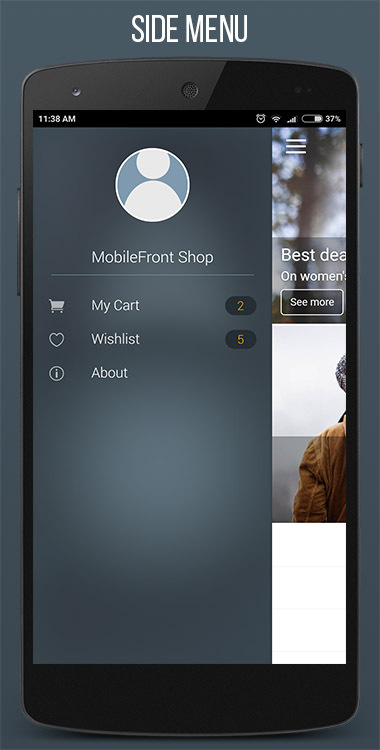 See short video overview of the MobileFront. 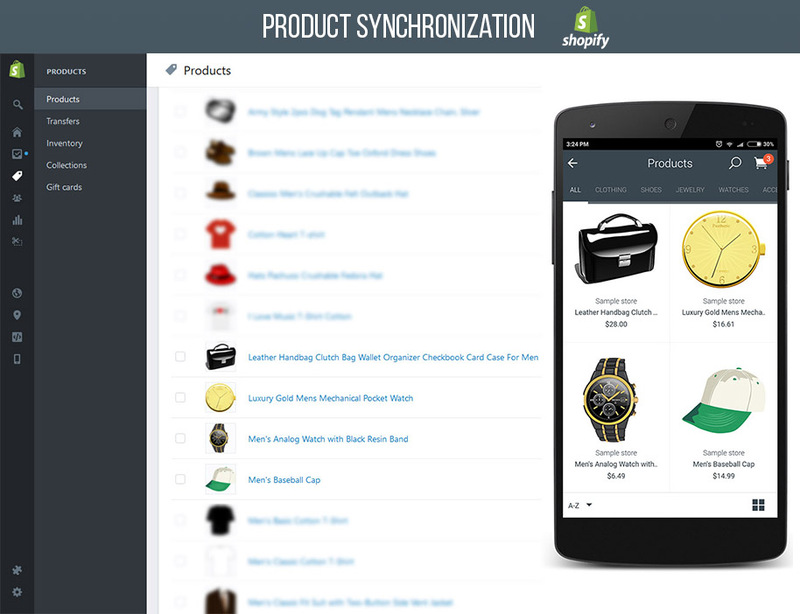 Read brief FAQ about our product on CodeCanyon to find answers to common questions. For detailed information about the product, installation process, features and capabilities read documentation. 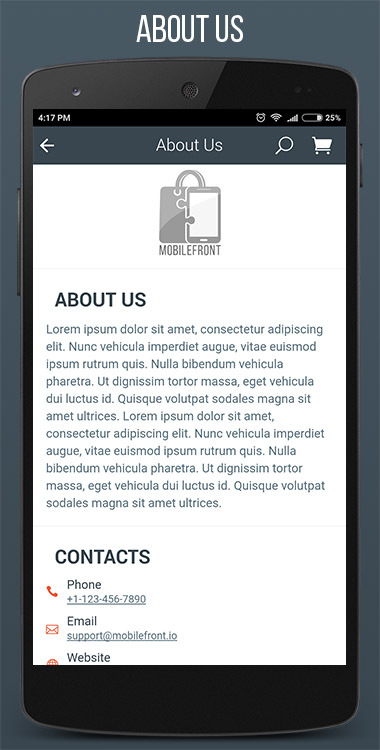 If you still have questions, feel free to contact us here at CodeCanyon, leave your question as a comment or contact us directly at support@mobilefront.io. Using explicit Node.js version 6.9.1 during installation on Windows.